The Boys & Girls Club can always use volunteers at any of our 17 sites. Whether you’re interested in playing basketball with the teens, reading to a child or doing paperwork in the administrative office, we can use you! If you’re interested in becoming a volunteer, please click the button below to apply online. All volunteers will be required to complete a criminal background check consent form and must make a minimum commitment of 20 hours over a three-month period. or Download the Volunteer Application Form (DOC). Return this form to the Administrative Office. The Junior Volunteer Program is a comprehensive small-group program that assists members ages 12-18 (and have attended 7th grade) in exploring a career in youth or human services, particularly Boys & Girls Club work. Through hands-on experiences with helping others in the Club and community, field trips to other service organizations and one-on-one guidance from Club staff, youth prepare for a possible future role as a human services professional or volunteer leader in their community. 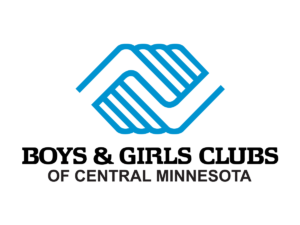 For more information regarding volunteer and/or internship opportunities, please contact the volunteer/internship coordinator at 320-252-7616 or volunteer@bgcmn.org. Assistant Program Manager Intern is responsible for the development and implementation of quality programs in a variety of KIDSTOP program areas. Healthy Lifestyles Coordinator Intern is responsible for assisting with the development and delivery of programs that focus on decision making, self-esteem, prevention and conflict resolution. Fine Arts Intern is responsible for the development & delivery of a broad range of fine arts programming. Sports Fitness Intern is responsible for assisting in the development of physical education programming. Performing Arts Intern is responsible for the design and implementation of performing arts programs. Garden Environmental Education Intern is responsible for the design and implementation of gardening programs. Academic Success Coordinator Intern is responsible for assisting in the development and delivery of high-yield learning activities that promote individual academic success. Human Resources Intern is responsible for assisting with all duties related to the HR department. Inclusion Specialist Intern is responsible for building strong relationships with youth for the purpose of inclusion in programming. Youth Development Intern is responsible for developing strong relationships with youth, developing and implementing programs.